The Rain Tent is easy to assemble and use. Once in place, the side windows open easily to let the children in or out. Each side has a large transparent window to provide better visibility for children. 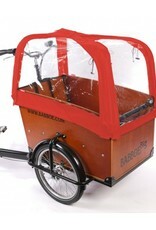 It also allows parents to keep an eye on them and facilitate communication even while pedaling. 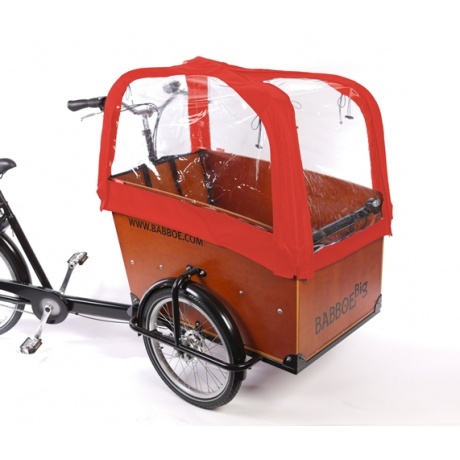 The Rain Tent protects your children from the rain but also wind and cold. 4 windows can be rolled completely or halfway. 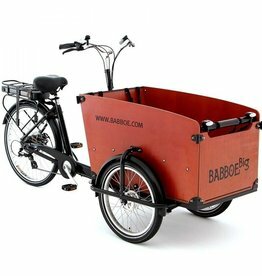 Compatible with Babboe Big Cargo Trike, new version only.